Data Sharing - The key to a better society? New Zealand has shameful rates of child abuse and neglect which have proven intractable over time but which the government is hoping will respond to a social investment approach. Essentially this applies actuarial methods to evaluate future welfare liability as a proxy for determining the net social benefits of intervention and uses this to drive decision-making. As the government gears up the new strategy, the Ministry of Social Development (MSD) is calling for expressions of interest for the development of a “lifetime actuarial model for New Zealand children within stipulated key time frames”. The system relies on data-sharing, the technical capability for which is well-established but the use of which in a democracy will require specific design features. The legislative underpinning was provided through amendments to the Privacy Act in 2013 which changed the threshold for engagement from whether serious harm was “imminent” to the severity and probability of that harm and enabled Approved Information Sharing Agreements among government agencies. the Social Investment Insights tool which maps at risk babies to 24 year olds, right down to the suburbs they live in, based on four key factors – having a parent in prison, being mostly on benefits since birth, having a mother with no formal educational qualifications and having come to the formal attention of CYF. These initiatives are all fairly technical or bureaucratic so attracted little media attention. But that may be about to change after Finance Minister Bill English revealed the extent of the government’s ambitions in a speech last month in which he talked of creating a “data highway” which will ultimately engage “all parts of government”. He used an analogy to communicate the scope of his plans, saying: “what we have now is a warehouse stocked full of food. The door is small, it’s a bit hard to find, and when you get to it you’ll only get the food you’re given. “What we really want is a supermarket, the kind of supermarket with a door that is easy to find and that has rules for entry that are strict but clear. Once you’re inside this supermarket, you can rely on the quality of the food that’s on the shelf and you get to choose what you want”. Data sharing would be “the norm rather than the exception” and would be accessible to the person whose data it was and to any agents authorised to act on that person’s behalf – an arrangement English promoted as consistent with Principle 6 of the Privacy Act, which provides that where an agency holds personal information that can readily be retrieved, the individual concerned shall be entitled to have access to that information. “I look forward to the day when we will find a very long queue of citizens outside the supermarket who have figured out that the cost of retrieval is about zero…It’s just a matter of time", English said. The aim is to identify the most vulnerable children and to compile a data profile on them and their families so that they can be provided with wrap-around services tailored to their specific needs. But that carries with it clear privacy implications, in an environment where – after a number of high profile data spills – public confidence in the integrity of data protection systems is low. The latest World Internet Project survey, for example, found that New Zealanders are not confident that their on-line privacy will be protected – either in the corporate sector (45 percent) or in the state sector (33 percent). 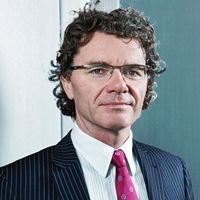 The government is alive to this issue and has appointed an independent Data Futures Partnership, comprising internet leaders and other influencers, to develop an agreed framework for data sharing, including access rules which are to be formulated in consultation with the Privacy Commissioner and the Government Statistician. how to provide “citizen-level control” for how data is used – e.g., through an opt-in/opt-out mechanism or Personal Information Management Services. English says the government has no position on either of these matters as yet and has indicated that they may require changes to the Statistics Act and the Privacy Act. Matt Yarnell is the leader of Chapman Tripp’s Government Sector Group and specialises in corporate law.